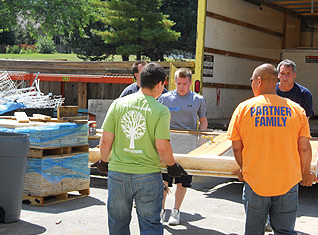 PEER's deep commitment to corporate social responsibility is demonstrated in the values we hold as a company. Our core values that guide PEER include: high ethical standards, empowerment, openness and teamwork. These values reflect what we do. PEER is committed to creating meaningful change in the communities we serve through philanthropic efforts and community development activities. Whether it's through the scholarships we provide or through the inspiring volunteer efforts, we are passionate about providing positive change with measureable results. PEER supports programs that help make our global communities better, stronger, and more vibrant places in which to live work, and do business. PEER reduces the environmental impact on our operations by actively reducing our carbon footprint and resource consumption. We have implemented an energy reduction program that has reduced our consumption of electricity, natural gas and water and report our results monthly. In our manufacturing facilities, we have constantly been reducing our CO2 emission by introducing more effective air compressors and operations management and we recycle 75% of grinding fluid and swarf at our largest factory. At our USA operations, we recycle over 75% of the cardboard, metal, paper, plastic and wood materials and 100% of all solvents and oils used. We will continue to find ways to make us a better environmental partner.